Dating from circa. 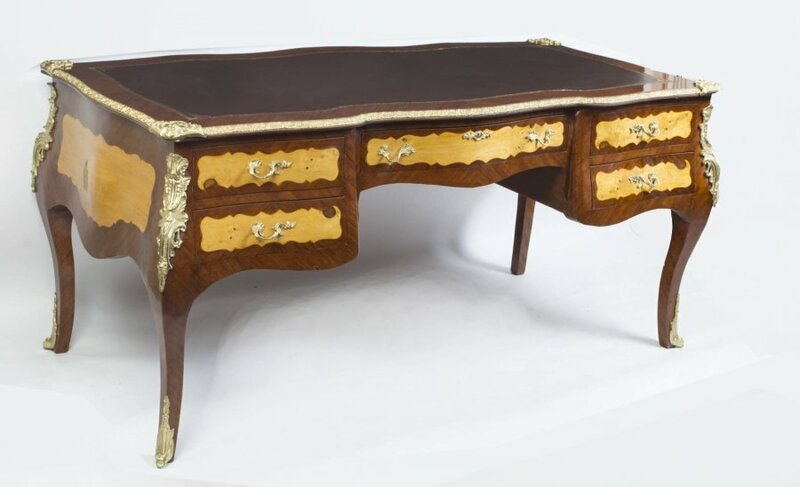 1880, this fabulous French antique bureau de dame, is made in rosewood with ormolu mounting and Vernis Martin paintings. 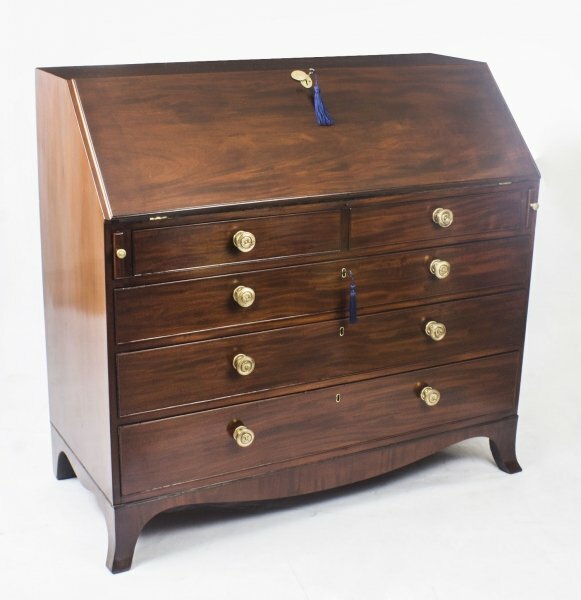 Priced at £2,550 this lovely antique bureau de dame will be a wonderful addition to any furniture collection. 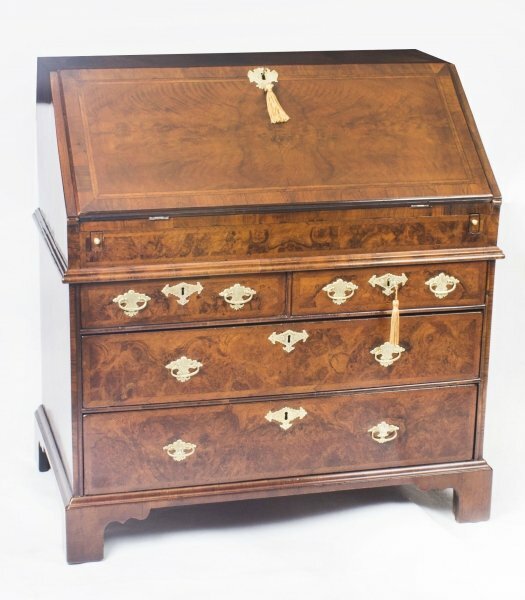 The flap drops down to become leather inset writing surface, and reveals a well and three drawers to provide storage for your stationery and other items. 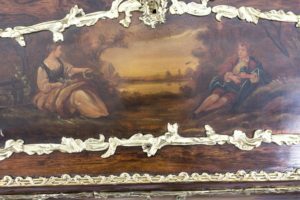 A Vernis Martin painting adorns the flap and it shows a courting couple, as well a country scene on the frieze surrounded with ormolu ornamentation. 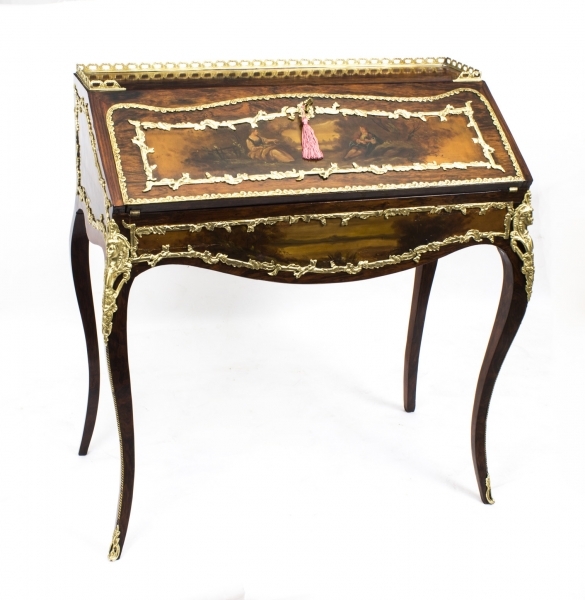 The upper part of the antique bureau de dame stands on cabriole legs that also have further ormolu adornment. 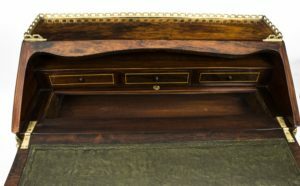 As an added bonus this beautiful piece also has a working lock and key. Widely used in the 18th Century, Vernis Martin is a lustrous lacquer substitute. It was used to decorate furniture as well as personal items such as clocks, snuffboxes and brise fans. The method was perfected by the Martin brothers and so was named after them (vernis is French for varnish). 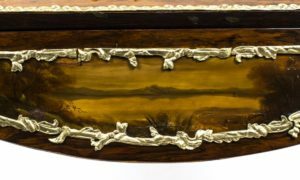 The process adds bronze or gold powder to green varnish and the Martin brothers refined the process by introducing inclusions in the varnish by sprinkling spangles of silver plated copper wire into the wet varnish ground. It was developed to imitate the East Asian lacquerware being imported into France during the reign of Louis XV and it was praised by Voltaire. 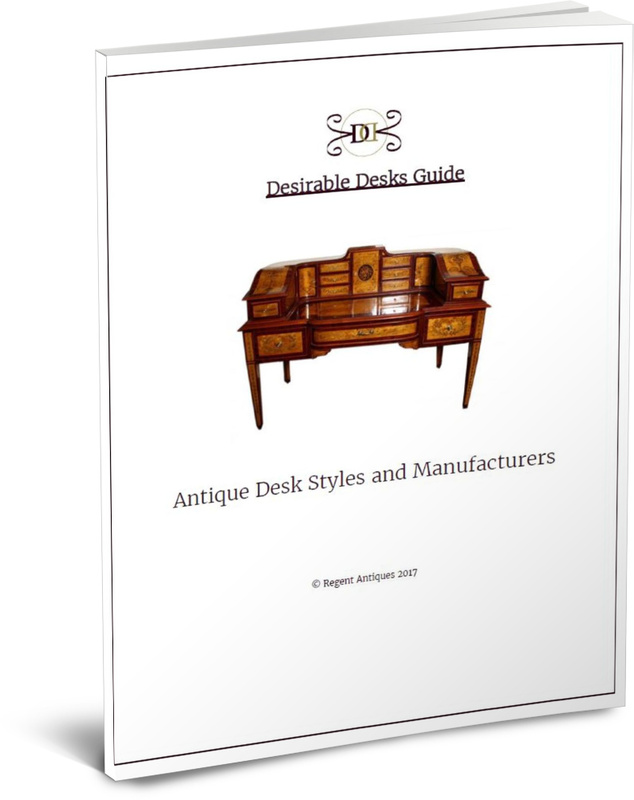 This item is in excellent condition as it has been fully restored and refurbished in our workshops. You can see from the current photos that this is the case. Measurements in cm: 95cm x 89cm wide x 47cm deep, or, if you prefer, Measurements in inches: 3 ft, 1 inch x 2 ft, 11 inches x 1 ft, 6 inches. 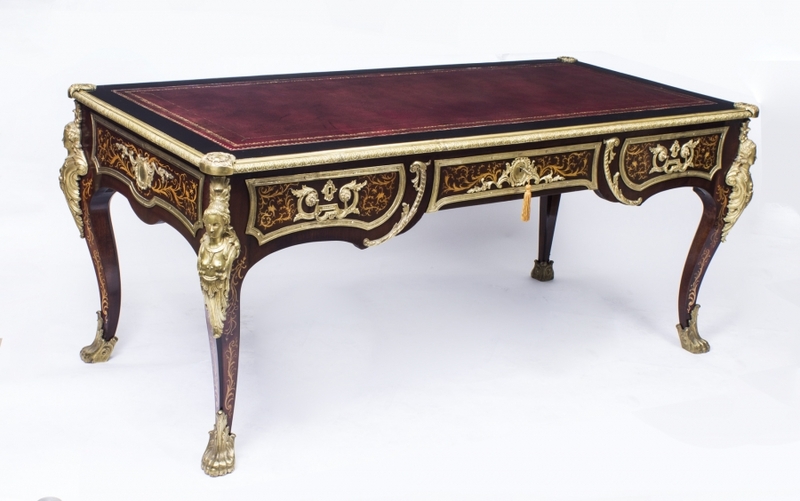 We are always very happy to arrange appointments to view our items in our North London warehouse. Just email or call us on +44 20 8809 9605 to arrange a suitable date and time. We are also delighted to answer any questions you might have. Please feel free to email or call about these quoting our item reference number 07607. We can pack and ship to any location worldwide, but you will need to call us first to get a quotation. Please do this before purchasing the item. Please be aware that buyers are also responsible for any local taxes are customs duties that fall due for items shipped outside the European Union.